Hotel was nice. Breakfast was 7/10 but I was satisfied. I had problems with the tv. Not a big deal to me since I was tired and didn't really care to watch it - i just wanted some background noise. I'm sure they could have accommodated me if I had asked. Overall I would stay here again. Clean hotel with great breakfast. The staff was very friendly and helpful. The breakfast was excellent. The overall cleanliness of the room left a little to be desired, especially the linens and floors. So you're pondering a getaway to Shelby? If you want a place to hang your hat that's located near some Shelby attractions, just go to Orbitz, choose your travel dates, and voilà! Review the list of hotels and other accommodations to find those that are located near everything you want to see and do. 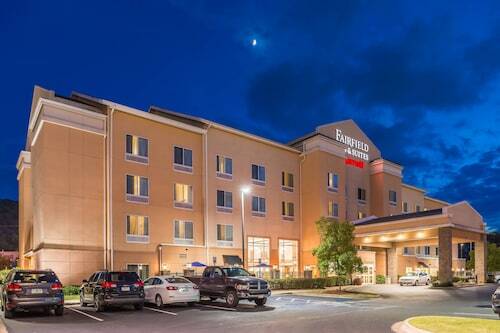 You may not find the ideal accommodation in the center of Shelby, but you can choose from 30 accommodations nearby. Search by filters such as price, neighborhood, guest rating, or popular locations, depending on what's most important to you. 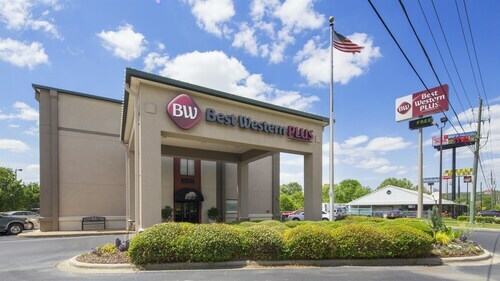 There might be just a few hotels and accommodations to choose from in Shelby, but here some other options located nearby to give you some choices. What's the Weather Like in Shelby?